Google’s has a goal of eventually becoming 100% renewable and reducing its carbon footprint to zero. To date, Google has contracted over 1.1 GW of renewable energy mostly from long term wind energy PPAs. It has also directly invested in wind energy by signing nine contracts for 1,146 MW of wind energy, which is enough to power 330,000 US households. 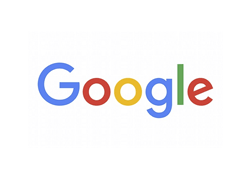 In the United States, Google has purchased 114 MW of wind energy from a facility in Iowa, 100.8 MW from a facility in Oklahoma, 239.2 MW of wind from the Happy Hereford wind farm in the Texas Panhandle and 43 MW of wind energy from the Golden Hills farm in North Carolina. Sweden has also been a hot spot for wind as Google has also purchased 72 MW of wind energy from the Maevaara wind farm in northern Sweden and it also purchases the output of four wind farms in southern Sweden totalling 59 MW. By purchasing PPAs, Google gives the renewable energy project developer the finances they need to build new projects that contribute to green power on the grid and adds to the competitiveness of the market. On top of this, Google notes that purchasing wind energy PPAs allows long term pricing predictability and in general makes good business sense. In a time when environmental impacts are forcing companies to change the way it operate, Google not only has adapted but has also made ambitious goals for the benefit of its company and the future of the environment. “Wind to us is extremely important, not only because our company is carbon neutral, but also because it gives us long term pricing predictability, which is important for any business, and it is philosophically the right thing we should be doing. Since we’ve started doing our long term PPAs, we’ve seen many other technology and traditional companies follow suit, so I believe we’re starting to see industry in general realize that this is just not the right this to do, but it’s good business as well,” says Joseph Kava, Global Vice President for Google.